Captured in a pulsating and impertinent film, Moët & Chandon has unveiled its new brand signature: THE NOW. 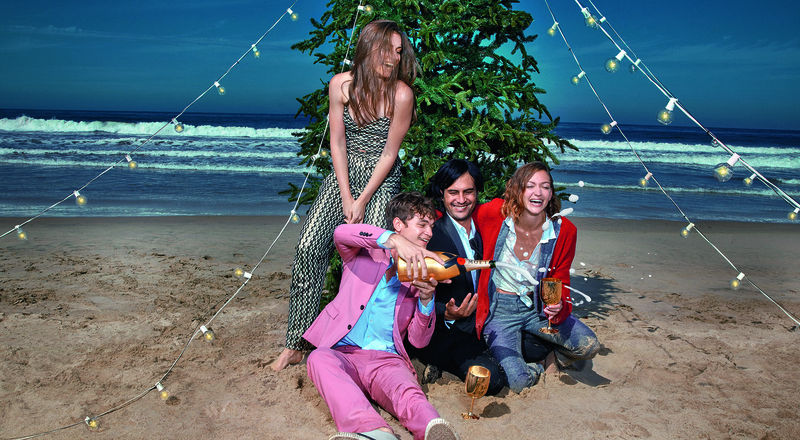 An invitation to live the present, the brand platform embodies the festive and bold spirit of the Champagne House. A new film from Moët & Chandon celebrates the youthful and thrilling spirit of THE NOW, capturing moments of celebration, freedom and sharing. A contemporary take on carpe diem, the campaign champions the importance of living in the present moment, embracing the world, and daring to live new experiences. With an offbeat spirit, Moët & Chandon invited its global brand ambassador Roger Federer to be part of the film, which was shot by We Are From LA, a talented French duo that has already won prestigious awards. “We really captured something magical on camera. THE NOW film is about #moetmoments, and in making it we created real ones together,” recounts Arnaud de Saignes, International Director of Marketing and Communications. THE NOW evokes the essence of the Champagne House’s DNA: the art of “savoir-celebrate”, that blend of elegance, fun and success that boasts a 270-year heritage. The new brand platform will be rolled out internationally in print and digital campaigns, along with special events. THE NOW figures at the heart of the Moët Moment Film Festival Competition, the first online competition for short films, launched to mark Moët & Chandon’s 25 years as the official champagne of the Golden Globe Awards.